Espresso, espresso macchiato, latte macchiato, cappuccino, tea or cocoa – with the Cafina® XT6 you can prepare a wide variety of specialities, with outstanding quality every time. Your guests will need to come back a few times before they have tried them all. And they are sure to be impressed every time. Melitta® Cafina® XT6 - Coffee perfection in every cup. 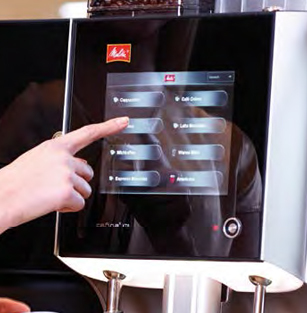 The Cafina® XT6 could not have been developed without Melitta's many customers in the catering industry. 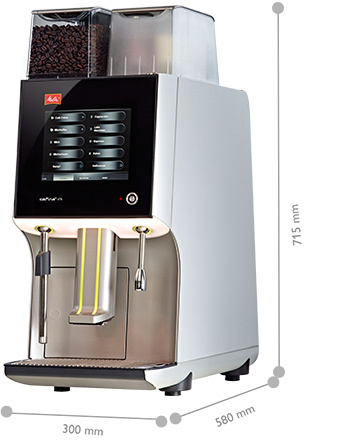 Their requirements and suggestions were taken into account and found their way into the specifications of a new generation of automatic coffee machines. In-depth market analysis was also carried out to establish the requirements of guests. 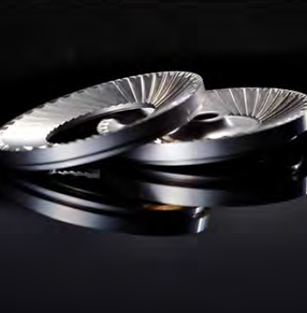 Then a wide variety of innovative developments were required in order to launch a model that would lead the way in its class when it comes to technology and operation. Now all you need is the perfect foam. 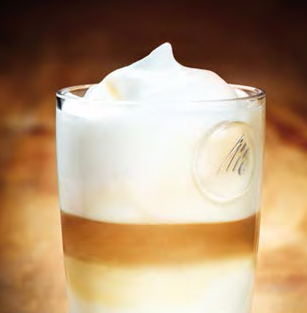 Our brand new milk foam system makes it easy to serve a cappuccino with a hot milk or a cold milk foam in an instant. A light touch on the coloured, hardwearing TFT touchscreen display is all it takes. The set quantity of coffee beans are ground. Clear lines, silver accents, black and white – the Cafina® XT6 has a contemporary look to show off its up-to-date technology. Added to this is the high quality of the carefully selected materials, such as the 3 mm thick aluminium side panels and the robust industrial-quality touchscreen display, which reacts immediately to any touch. With its compact dimensions – 300 mm wide, 580 mm high, 715 mm deep – and elegant aluminium housing, the Cafina® XT6 fits in well at any location. The extension modules follow the same design and form a functional and structural unit together with the XT6.